I am an avid reader and love novels that feature characters draped in passion, mystery, and adventure. I am especially fascinated with the concept of immortality. 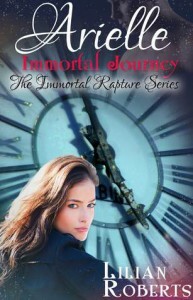 "Arielle Immortal Journey (The Immortal Rapture Series) (Volume 5)" by Lilian Roberts is another beautiful part of her magic immortal series about the pure love between student Arielle Lloyd and the wonderful Sebastian Gaulle. Roberts lets us share their strong bond and the precious moments between the lovers, but as always, there are threats from the outside world, in this case a gang from Russia who are after Sebastian and his company. Arielle on the other hand has her dear friends Gabby and Eva, an amulet, a book of spells and a journey to the past. Few authors write with a sense of innocence and purity such as Roberts. 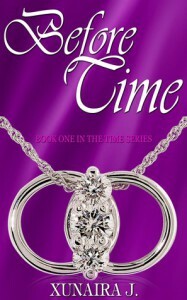 The values of true love and commitment permeat every page and readers sit in awe at the power of love. This is a wonderful modern fairy tale with charm and great values, the stuff that dreams are made of. Enjoy your own journey into this magical world. As far as paranormal romances go, you won't find much better. This is a wonderful book. Amalie Jahn did an excellent job in putting together a well thought out plot with very likable characters. The story is so well told that it brought me into the pages and I felt that I was part of the script. I was overwhelmed with a mixture of strong feelings. I felt excitement, anger, resentment and utter shock at the horrible, disturbing issue of human trafficking. The plot was quite riveting and I was glued to the pages. I loved the soft touch of supernatural. The author used the aura of a person through out the story and though not trying to make it a major theme it becomes quite meaningful. The most important issue of the book is centered on the subject of foreign women brought to the States to find a better life but instead their dreams are crashed into dust. That was gut retching. I am now a fan of Amalie Jahn. I loved her first book The Clay Lion and I thought she could not do any better than that. Boy was I wrong. The second book is absolutely fantastic. I would recommend it to anyone who loves a suspenseful and compelling story filled with excitement and provocation. This is another powerful book written by Christoph Fischer. It takes place in Vienna during the horrid days of WWII and the despicable atrocities that were thrust upon the Jewish people by the German Empire. 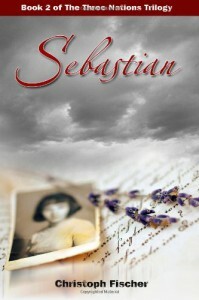 The main character of the book is a Sebastian, a young man just sixteen who had part of his leg amputated. He is a very strong individual filled with determination at such a young age that it leaves you utterly stunned. He is dealing with many complications from that amputation, but he does not let any of that become an abstraction to his goal. He suffers set-backs and wretched poignant incidents, but he does goes on. He is a very likable character and one of my favorites in this book. He lives with his father Franz, who runs a grocery store under the same dueling they occupy, and his mother Vera who is quite ill. His best friend Oscar and his wife Rebecca live with them as well. The plot becomes very complicated when several other characters inter the seen. I found all the characters to be fascinating as they are so different and yet so involved in every aspect of the story. First is the young beautiful Ingeborg, then Eva, Sebastian’s first crush, Margit and her mother, Peroska. Fischer introduces very cleverly amazing twists and turns to the plot blended with the right amount of transcendent facets, and séances. All that creates a large amount of chaos in characters’ lives, while the war is blasting in full force. I was absolutely glued to the pages. I could not put the book down. This is exactly what happened to me with the other two books in the trilogy “The Luck of the Weissensteiners” and “The Black Eagle Inn”. Christoph Fischer has done a lot of research and provides a rich understanding of the events in Eastern Europe during that era. This is again an amazing book that is brilliantly written and I am a fan. I wish there was another book that I could pick up and continue this amazing journey. I will recommend this book to everyone I know. These books are filled with information, that has been greatly researched, memorable characters that we will love, and it will provide a blend of emotions that will leave you astonished. Sebastian is a book that has to be read, but so are the other two books in the trilogy. I love them all and could not tell you which one is better than the other because they are equally great!!!! Christoph Fischer is a wonderful gifted writer and one of my most favorite authors. This book is amazing! The author Christoph Fischer is incredibly talented. He has a magical way of telling a story that keeps you drawn to the pages like a magnet. I could not put the book down, and when I had to walk away, the characters stayed with me until I picked the book back up. I fell in love with Greta and Willhelm. Their romance was heartwarming. Fischer lets you see the power of love and what it can do for a human being. I could see that the author did extensive research in order to provide such an amazing detail on things that you would never find in a history book. I know it was an eye opener for me. The suffering of the people during that horrid period of time was heart wrenching. It brought tears to my eyes and made me wonder how people can be so cruel. The author did a remarkable job in intertwining a lot of emotions in such a smart way, love, suffering, romance, survival, fear, distress, horror and kindness. This is the second book I read by Christoph Fischer. 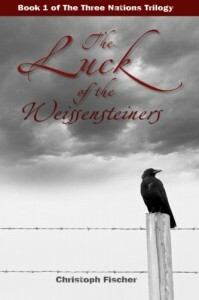 I really did not think that anything could be better than “The Luck of Weissensteiners” but I was terribly wrong. This book exceeded my expectations. This is an extraordinary story. 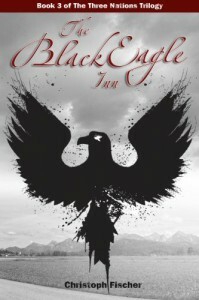 Bavaria is the location of The Black Eagle Inn. Germany is dealing with trying to overcome the shame of a horrible regime that has been finally brought to its knees. The people are trying to survive and get back to a normal life. But how can they regain a pride that has been dragged through the mud and how can they erase the atrocities and the dreadfulness that wreaked the lives of millions of people? The author Christoph Fischer does an amazing job once again introducing the characters that pull you into the story. The Hinterberger family is an interesting one. Anna is the matriarch of the family and after her father’s death she takes control of the family properties and that includes large pieces of land (farms) and the Black Eagle Inn. Her life is overwhelmed with scandals, conspiracies, money and forbidden love. Family members are fighting among them trying to be the ones to inherit portion of the Hinterberger fortune. Magdalena, Helga, Lukas, Otto Hans and Markus are characters that are unforgettable for various reasons. The author cleverly introduces a mixture of strength, weakness, success and failure. Again I found myself glued to the pages. A mixture of emotions took over my thoughts. I felt like crying in many occasions, wince at others, taken over by contempt for actions that made my skin crawl and envy at the courage of others. 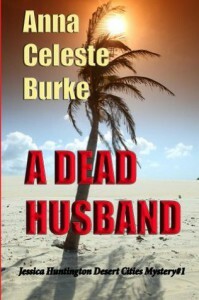 I received a copy of this book “THE DEAD HUSBAND” by Celeste Anna Burke in exchange for a fair and unbiased review. I was pleasantly surprised to find myself lost in the pages of such a wonderful plot. The book is a delightful read filled with a variety of fascinating characters and tons of mystery and suspense for your entertainment. This is a story of a rich California girl Jessica Huntington, lost in the mist of shopping, socializing, and playing the wife of a cheating husband Jim Harper. On another level Jessica is a smart, witty woman full of energy that would do anything for her friends. She holds a law degree and she takes upon herself to investigate the murder of her best friend’s husband. It does not take long for her to get mixed up in the middle of the chaos and mystery that surrounds that murder. This is a wonderful novel that will keep you engaged and eager to turn the pages. The author provides a plot full of action, suspense and mystery that will take you on a wild roller coaster, with many twists and turns. She also introduces a delightful assortment of emotions, such as romance, pain, dejection, anxiety, and laughter. a picture of the luxurious playgrounds for the rich, and the wonderful things money can afford you. I found myself quiet emerged into the fascinating and entertaining life that the affluent enjoy day in and day out. I would recommend this book to anyone who loves mysteries, murder, humor, and thrill. This is really and delightful story that makes a great read. This was a great mystery plot and I enjoyed the book immensely. The author did a great job in providing an intriguing read for the reader. The story is great and it moves fast keeping the reader engaged at each turn. I would recommend the book to everyone that likes mysteries filled with excitement and suspense. I am a huge fan of this so talented and so gifted author. 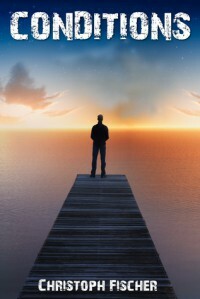 "Conditions" is about two estranged brothers Tony and Charles who are the main characters of the story. The death of their mother brings the two middle age men back in each other's life. Though brothers they are quite different. Tony is married with responsibilities, children and a good job. Charles on the other hand is single man that struggles with a serious mental illness. Christoph Fischer Is brilliant and once again he deals with a very sensitive subject in a way that keeps the reader glued to the story from the first page to the last. His characters are wonderful and very believable. The mixture of emotions is absolutely stunning. Sadness, envy, resentment, ignorance, fear, prejudice and so many more. The story brings you into the family circle and you feel like you are part of the plot. Some of the time I wanted to scream and shake some sense into one of the characters (the wife) and then I was left utterly stunned. This is another wonderful read by the very talented Amber Lea Easton. An intriguing romance story between Lauren Biltmore and Noah Reynolds that will keep you glued to the pages. It takes place in the beautiful location of the Caribbean the Grand Cayman. The author does an amazing job in describing the beauty and the loveliness of this majestic location. Through the eyes of her mind I could transport myself at the place and really feel like I was part of the story. As the romance escalates between the two lovers you realized that there are important issues in each one’s life that they were trying to overcome and keep their relationship strong. The story is very well written, easy to follow with very likable characters and very believable. The author provides a mixture of emotions, such as suspense, mystery, hot romance, and increased anticipation each and every time Lauren and Noah had to discuss and overcome a disagreement. I loved the book, and I think it would make a great movie. 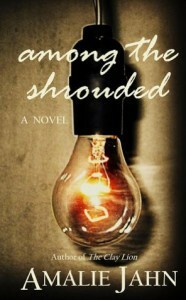 I would highly recommend it to anyone who would love to spend time with a delightful book with a very interesting plot. This was a very fun book to read. Paranormal is what I love and this is exactly what I needed to spend some wonderful time with a wonderful book. 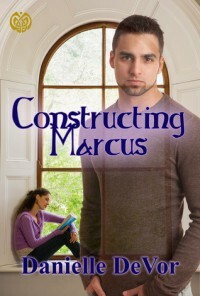 One of the main characters is Marcus who is a very kind, sweet and very gorgeous ghost. Emma is a young wonderful girl who has to deal with her anorectic mother’s issues. Emma is intrigued by paranormal and story becomes very involved and very interesting. Emma meets Marcus and the young romance is just adorable. The story is serious and funny and very entertaining. The author has a great way of giving the reader a fast pace story that will keep them engaged to the last page. I loved it and I am sure everyone would enjoy reading this cute and very exciting book. Here is where a wonderful story begins about Mathias Drvar who is an orphan and his life has been reduced to the gutters of this world where he has to fight his way out of every horrible situation that comes his way. The interesting part of this book is that Mathias becomes a vampire. He is thought to be reincarnation of a king and there are people out there trying to kill him. The story is very well weaved by Danielle DeVor who has done an amazing job with this book. It is not your typical vampire story and that is a good thing because it is quite intriguing. I enjoyed the read and would recommend it to anyone who would love to spend some great time with a great book. Well done Danielle DeVor. 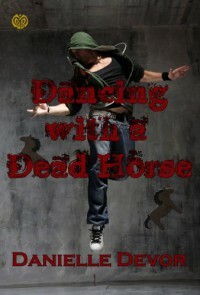 This is my kind of book, a paranormal story with excitement, thrill, and suspense. I love vampire books and this now is one of my favorites. Danielle DeVor talks about a Mathias Drvar a fifteen year old boy that has overcome homelessness and very difficult circumstances in his past to try and make something better for himself. This is the second book that brings back the characters that you fell in love with in the “Tail of the Devil”. The thrill in this story is that Maithas is named king after the King Nossy disappears and they are unable to find him. I loved the suspense while trying to find who the kidnappers were and how they can save King Nossy. I found the book very intriguing and I am happy I got to read the continuation of the story from the first book. 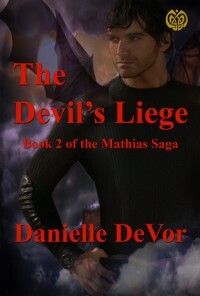 The author has done a fantastic job with The Devil’s Liege. You will love it if you love SCIFI, great fiction and suspense. I picked up a copy of this book just by accident. The cover looked interesting so I decided to read it. I was pleasantly surprised at the wonderful story that this author has delivered to the reader. 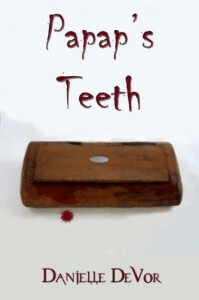 Danielle DeVor’s “Papap’s Teeth” kept me very interested from the first page to the last. It is a short story moving in quick pace and leaving you more intrigued as you move into the plot. It is a heartwarming story about young Sara and her curiosity about what her grandfather’s little brown box holds. It is something that will definitely affect her life but I can’t discuss this in the review because it will spoil the storyline. A wonderful read for YA and anyone interested in a great little story. The author cleverly delivered a very well written book. Danielle Devor has done an amazing job with this book. It is very a very well written story. The author weaves a clever plot and brings the reader a huge mixture of emotions such as fear, anxiety, wonderment and complete shock. An ex-priest, Jimmy Holiday has agreed to help a friend with his daughter who seems to be sick but they are not sure what the illness is really all about. I was glued to the pages from the moment the Jimmy realized that this was much deeper than a simple illness. The house was haunted and July seemed to be completely under evil control. This is a great book about exorcism and demons and everything that I like to read about. I would highly recommend it to anyone who is interested about forces beyond our understanding, and ways that might help the horrible control of those forces. It is a book that will keep you utterly intrigued. A MUST read!!! 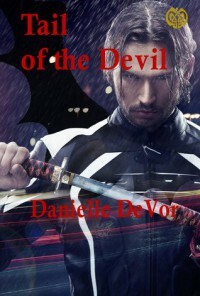 This is the second book I have read by this wonderful author Danielle DeVor. It was a delight of a read. The story is about a sixteen year old Jason Miller who wants to accomplish several things in his life. The author has an amazing way of delivering a story through the eyes of a teenager. She tackles all the important issue that young people face in school such as harassment, bullying and constant pressure that will turn one’s world upside down. This book is filled with thrilling episodes, mystery, and suspense. 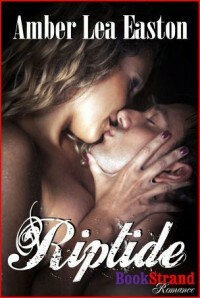 The characters are very well presented and very believable. I loved the book and I enjoyed reading each and every page. 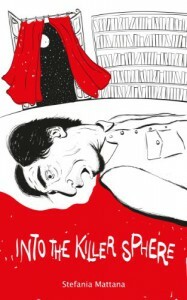 I would recommend the book to young adults that love mysteries and serials killer stories. It is a very well written story.